Moxie sophomore that I was, I decided to write a paper on why Mrs. Dalloway was not a masterpiece, and headed straight to the Graduate Library, where I spent hours digging up old reviews in English newspapers, panning Woolf’s novel, and building up my sure-fire case that the novel was ‘second rate’—not on the order of To the Lighthouse, certainly. I was sure my professor would be impressed by my extraordinary, rebellious performance. In fact, with my little sophomoric exercise, I had missed out on my own honest impressions. Initially I was a little turned off by Mrs. Dalloway: how could I care about this upper class woman, and her desultory search for flowers? Yet once I allowed myself to dive beneath the surface of the ordinary, to understand the deeper trembles of yearning, war, and desperation that coursed beneath, I found myself on a literary journey unlike any I’d taken before. 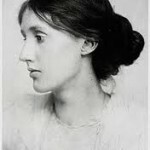 That was the lesson of Woolf’s writing—the profundity that can lie right beneath a woman’s life, in all its quotidian details; the intertwining of the domestic with the philosophical. This is sometimes the subtle ambition that marks many women novelists—especially those mining the daily lives of their female characters. 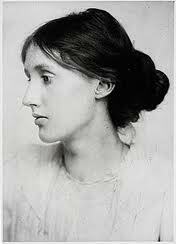 In the end, Virginia Woolf became one of my favorite, all-time authors. While at that library, I was able to actually touch one of the original Hogarth Press editions she and her husband Leonard produced, with its beautiful, swirling pattern Italian paper cover. And I still own my college paperback, marked and remarked with my urgent, serious notes. But I also learned something else: to trust my own instincts about what I like and why. 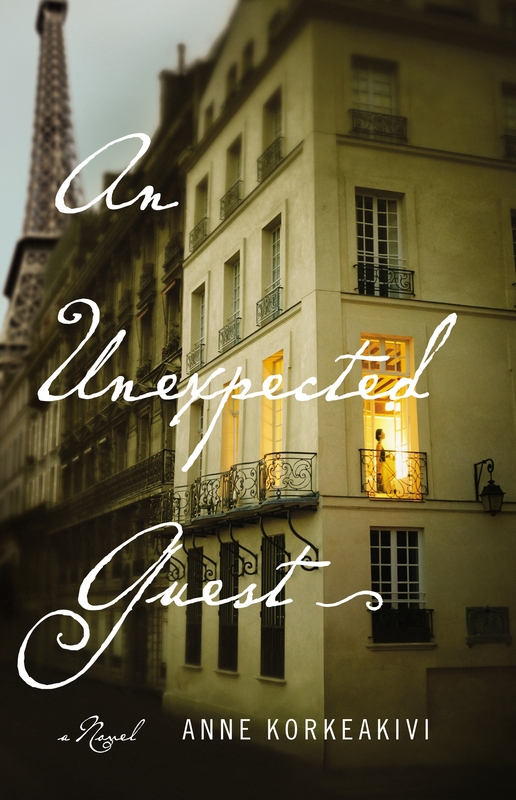 Many years later, at a dinner of women authors, I met first-time novelist Anne Korkeakivi. We chatted a bit about some overlapping interests–Anne lives in Geneva, for her husband is a human rights lawyer for the UN; I had grown up in a UN community among many children of diplomats and international mission employees, and, as an advocate for the International Baccalaureate in our schools, I was curious about her children’s experience at the IB school there. 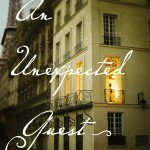 An Unexpected Guest is a patient book, impressively skillful for a first novel as Korkeakivi balances the artful arrangement of domestic life with the eruptive energy of past youthful passions, and the tension of present-day political fears. And, to my surprise, about a third of the way through–that slow and careful build suddenly becomes a compelling page-turner that I stayed up late, racing to finish. For this reason I’ve invited Anne to come read at our independent bookstore, Words, at a reading sponsored by GlobalSOMA on Friday, November 2nd, at 7:30. Please do join us.